For the maiden voyage of SpaceX's Falcon 9 rocket, I sat for four hours on a lens case, waiting for the thing to blast off. My makeshift chair was provided by James Murati, a contract photographer for United Launch Alliance, which could be considered a competitor for SpaceX in the commercial launch business. 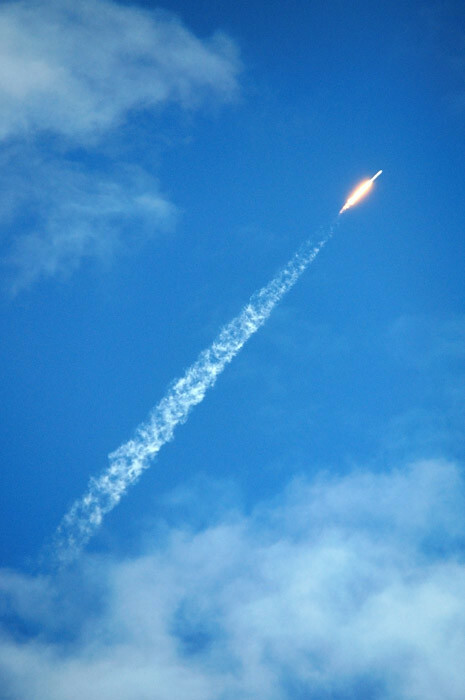 SpaceX is a leading candidate to provide cargo launch services to the International Space Station and possibly manned flights someday. 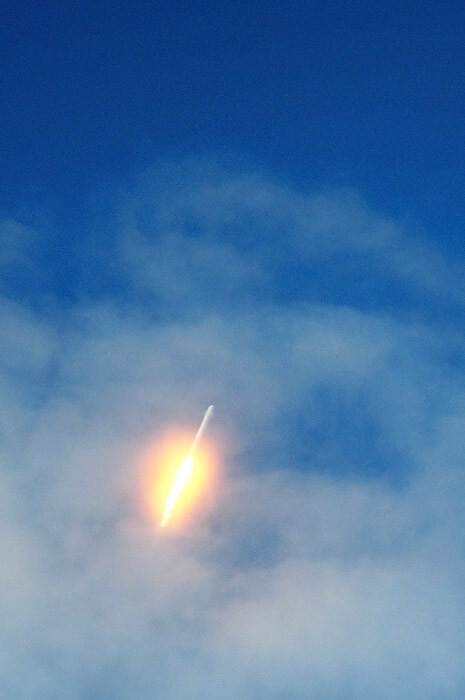 This launch on June 4 was a demonstration - or test - flight for the rocket itself, and it had a high probability of failure. 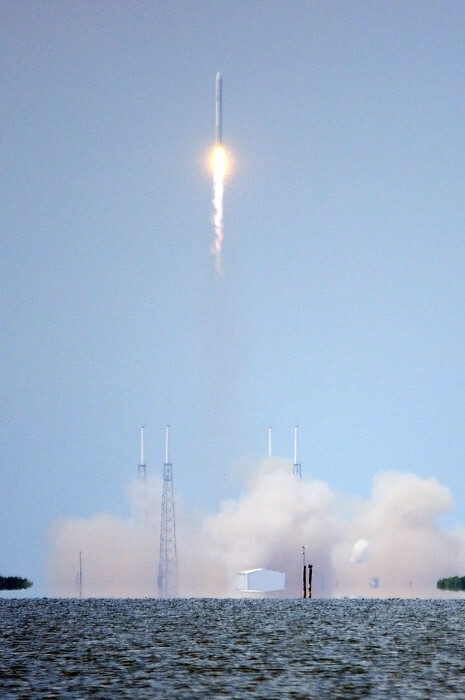 That's why James and I waited for four hours in the hot sun until the crew at SpaceX managed to shake off a technical glitch and finally push the button. 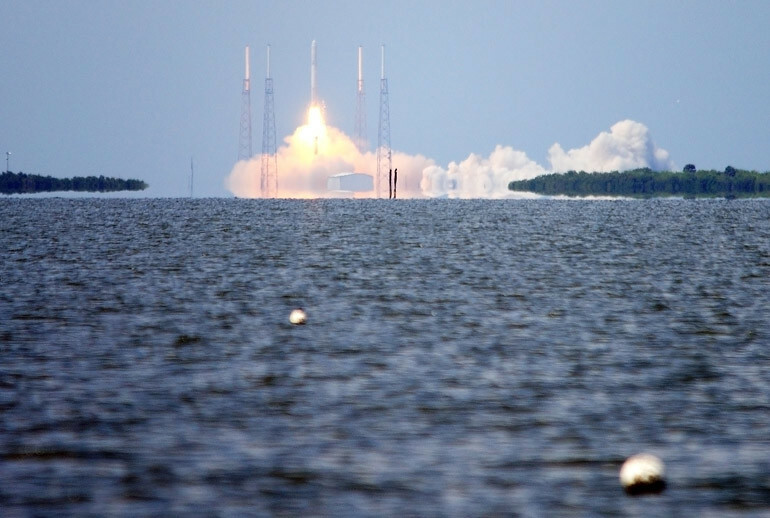 I set up my tripod and camera on the sandy shore of the Banana River - as opposed to the bank - along a stretch of Port Canaveral, the closest public viewing site for liftoffs from Launch Complex 40 at Cape Canaveral Air Force Station. My low angle put the horizon - the launch pad - out of site. The optical illusion that my angle created made it appear as though the rocket was emerging from the river. 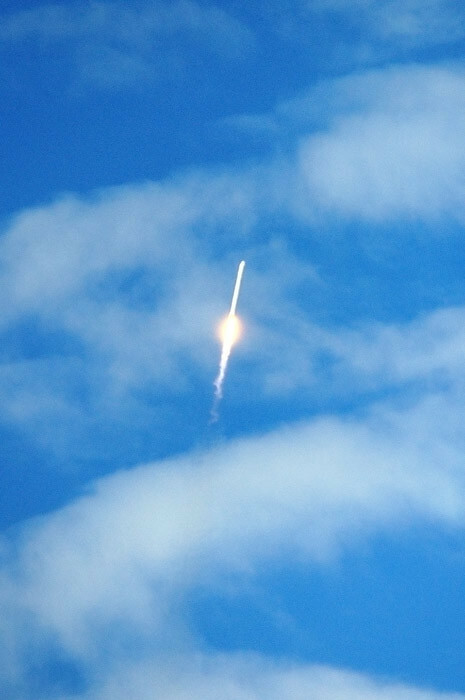 During the entire flight, I trained my 150-500mm Sigma zoom lens on the rocket until it disappeared from view. That's because James and I both knew it could blow up. We also knew that would have made for an interesting shot. The rocket engines light up some clouds. 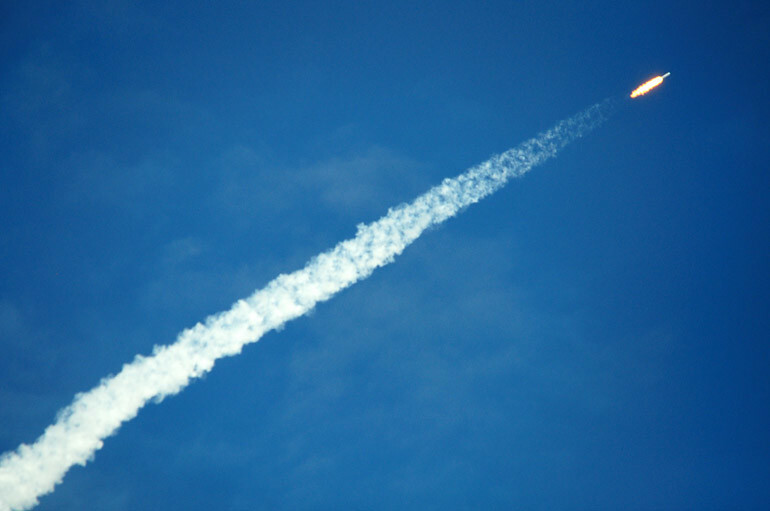 The Falcon 9 is fueled by kerosene - not solid rocket fuel - so there is little smoke trail involved when it launches, much like is the case with Delta IV and Atlas V rockets without solid rocket boosters. This makes for a dull launch. But some condensation did occur in the upper atmosphere, creating a bit of a contrail. Still, the highly probable disaster didn't materialize. And I suppose that's a good thing for the future of spaceflight. I have one, but I chose the lens case.